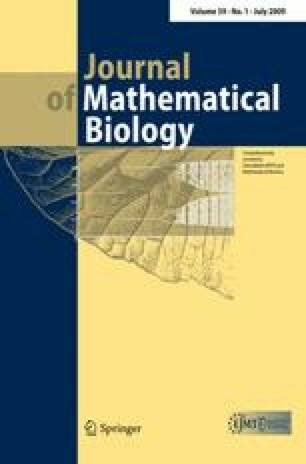 We consider an one-dimensional nonlocal hyperbolic model for group formation with application to self-organizing collectives of animals in homogeneous environments. Previous studies have shown that this model displays at least four complex spatial and spatiotemporal group patterns. Here, we use weakly nonlinear analysis to better understand the mechanisms involved in the formation of two of these patterns, namely stationary pulses and traveling trains. We show that both patterns arise through subcritical bifurcations from spatially homogeneous steady states. We then use these results to investigate the effect of two social interactions (attraction and alignment) on the structure of stationary and moving animal groups. While attraction makes the groups more compact, alignment has a dual effect, depending on whether the groups are stationary or moving. More precisely, increasing alignment makes the stationary groups compact, and the moving groups more elongated. Also, the results show the existence of a threshold for the total group density, above which, coordinated behaviors described by stationary and moving groups persist for a long time.